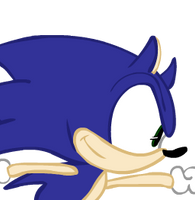 Heh, heh... Sonic's looking in good shape for more games there! You bet, I can't wait for more games. Thanks! Yeahhh he is the main reason I want a Wii U at the moment. Hoping to find more of a reason to have one after Nintendo's conference tomorrow morning. Love Gaming and fantasy stuff?